Thank you so much for such a great looking website. I think it's already outdone everybody's expectations for our new store! Wow - we've just entered our 21st YEAR of business! We wish all our clients past and future the very best for 2019! As part of a full website, we designed this fun little logo for TK Namibia Tours. Wow - we've just entered our 20th YEAR of business! We wish all our clients past and future the very best for 2018! We've now entered our 19th year in business, and we'd like to wish all our customers a very happy new year in 2017! Our offices will be closed from May 16th to 20th. We apologise for any inconvenience this may cause. We've now entered our 18th year in business, and we'd like to wish all our customers a very happy new year in 2016! We've added a list of our past websites that are currently active to the Links page. Wow - so many!! We'd like to wish all of our customers, past, present and future, a very happy new year and best wishes for 2014! Our offices will be on vacation from December 25th to January 3rd, for the winter holiday period. Our offices will be on vacation from August 16th to 30th, for the summer holiday period. 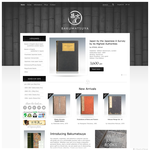 We've just started a redesign of our own company website, to bring it up to date with the latest styles and technology. Following the latest concept of responsive design, our site is 100% compatible with all screens - from widescreens to tablets, even small screen smartphones. Try it! The latest bikeshop websites to join our national network just opened - numbers 21 to 24: CycleDelight, Scooter Shop SAY, Motoshop Sun Gakken, Motoshop Sun PCS. Our offices will be on vacation from August 21st to September 11th, for the summer holiday period. We've just put up a shiny, new signboard outside our offices. Now it's even easier to find us! 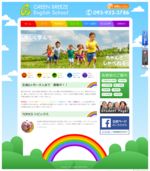 A playful and light design, for a local kindergarten website. A Tokyo online retailer of Indian wine, beer and foodstuffs. Elegant wine imagery, with hints of exotic India. Simple and relaxed design for this cafe lesson-based English conversation school in Tokyo. We are currently revamping our website - lots of new features and updates planned, so we'd love to hear your comments! Our offices will be on vacation from August 20th to 28th, for the summer holiday period. Our offices will be on vacation from Dec 25th to 30th, for the winter holiday period. Our super value blogging package now comes with visitor comments and anti-spam systems. Our offices will be on vacation from Aug 9th to 13th, for the O-bon holiday period. Our latest site gets the #2 spot in Yahoo for "Roppongi thai massage" (in Japanese). Our latest net shop gets the #1 spot in both Google and Yahoo for "[product] mail order". Ikea has announced plans to open its first Kyushu store in Fukuoka in 2012. We'd like to wish all of our customers, past, present and future, a very happy new year and best wishes for 2010! 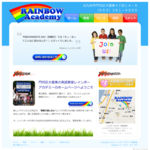 One of our website and logo design clients had their language school featured on local Fukuoka TV - Check out the video! All of our AdminGenius sites now include this great page editor as standard. Our newly revamped site has gone online, to celebrate our 10th year of business! Our website gains a Google PageRank of 4! Medieval games room, coming next year! We would like to wish all our visitors a very merry Christmas and a happy new year. New client resource added, describing this great free analysis tool. Completion of our new premises is now only two months away. Work begins on our new premises in Moji, due for completion in June. Our newly revamped site has gone online, just in time for the new year. More info, more pictures, more 'Tensai'!